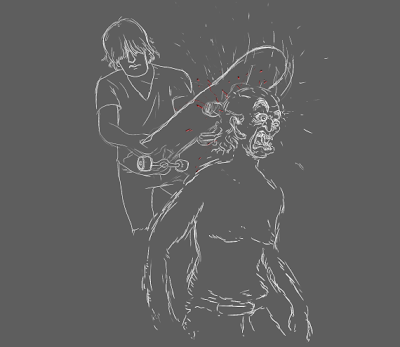 Here's an animation I just finished recently: Crackhead getting hit over the head by a skater. It's part of a skate video for Vice magazine online, produced by HYSTK in Chicago. The video was shot in Argentina, and this crackhead scene actually happened but the videographers didn't get a chance to film it in time, so they commissioned me to animate it for them. I'll post a link once Vice puts the final skate video up.